One of the things we do at Lawn & Landscape is provide landscape contractors with practical information that helps them run their business better. And the best way to do that is to help you better understand your customers. So late last year, we conducted the first major post-recession survey of homeowners’ perceptions of the landscape industry. 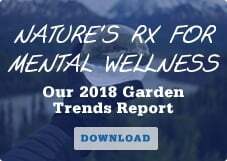 We asked more than 850 homeowners across the country why they buy landscape and lawn care services, what they think of contractors, and how they decide what to spend on improving their green spaces. We call the project Grow the Market and launched it in our February issue. In our initial report, sponsored by Syngenta, we focused on three major topics of interest: homeowner perceptions of the cost of landscape services (too high), their expectations of service (also high), and the impact they think landscaping has on the value of their home’s eventual selling price (again, high). These data make it pretty clear that homeowners need to be coached past the price question and shown the value that a new landscape or lawn care program will bring them. That value for many consumers means more time spent with their family or more enjoyment of their landscape. A majority of respondents said they value their outdoor space and see the value that a landscape brings to their neighborhood. The challenge is to find that value and drive it home, especially when yours isn’t the cheapest bid. Our survey also makes it clear that homeowners often feel taken advantage of – nearly half said they don’t trust what contractors tell them. That means you have to make sure to communicate clearly and effectively to manage your clients’ expectations. You know that you’re juggling hundreds or thousands of clients, running your own business and your family life, but customers tend to think only about their patio that you’re building. 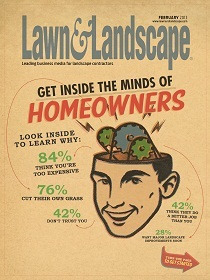 That communication also comes into play when consumers choose a landscaper. By almost a three-to-one ratio, homeowners rely on recommendations from friends and family when they hire someone. A happy customer with lots of friends is your best source of new business. We’re going to roll out more data from our report throughout the year on topics like irrigation services, organic services, and how homeowners feel about upsells. 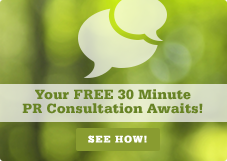 We’ll also bring you case studies of contractors across the country who are using this research to grow their markets. To stay connected between issues, I encourage you to follow Grow the Market on Twitter at @growthemarket. You’ll get regular updates on statistics, news and other information that can help you sell and market your company more effectively. And if you want more insight into this report or a 30,000-foot view about national industry trends, please give me a call. I’m always happy to talk about what’s going on, and always here to help. 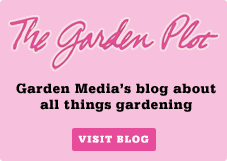 The author is editor and associate publisher of Lawn & Landscape magazine, the leading publication for landscape contractors and lawn care operators. Email him at cbowen@gie.net.